This is the second time they have made such a call, the first time being in December 2015. The call came during their Winter 2017 General Meeting at St Patrick’s College, Maynooth, where homelessness and the current housing crisis were top of the agenda. According to the Peter McVerry Trust, eight people sleeping rough have died in the past twelve weeks. The most visible manifestation of the homelessness crisis – rough sleeping – has seen a marked increase over this winter. “This is a collective failure of our society to protect the most vulnerable amongst us,” said the bishops. In Ireland, 8,300 people are using emergency homeless accommodation, including over 3,000 children and more than 1,400 families. This figure does not include those who are sleeping rough, those who are homeless but ‘sofa surfing’, or those who are involuntarily living with friends or relatives as no alternative accommodation is available to them. The bishops asked “all people in society, and in particular our policymakers”, to recommit themselves to “building a society that values human beings, not least, by working for a society that enables all people to live in a decent home”. They also expressed concern that the recently announced increases in both energy costs and public transport prices would “disproportionately affect the poor, the marginalised and the elderly in our society”, and agreed that “the implementation of these price increases in the run up to Christmas is particularly harsh”. 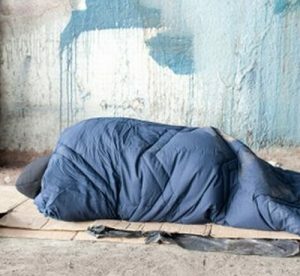 The bishops commended organisations in the front line caring for the underprivileged, such as Crosscare, the Peter McVerry Trust, Threshold, the Society of Saint Vincent de Paul, Merchants Quay Ireland and the Capuchin Day Centre, Focus Ireland, Simon and the Salvation Army, saying their solidarity with the marginalised could mean “the difference between human life and death”. 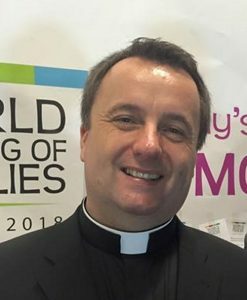 Tim Bartlett, Secretary General of the World Meeting of Families 2018, updated the bishops on recent developments. To date just under 1,500 people have signed up as volunteers for the 21 to 26 August 2018 event. Currently organisers are seeking offers of accommodation in family homes in the greater Dublin area for overseas pilgrims. They have also prepared a special Christmas card for family homes based on the icon of the WMOF18. More than 700,000 of the cards will be distributed at Christmas Masses across Ireland, accompanied by petition boxes, enabling families to write intentions and prayers. Contemplative communities around Ireland will pray for the intentions collected during the coming year. The bishops have asked the faithful to pray the official prayer for the World Meeting of Families 2018: God, our Father, we are brothers and sisters in Jesus your Son. One family, in the Spirit of your love. Bless us with the joy of love. Make us patient and kind, gentle and generous, welcoming to those in need. Help us to live your forgiveness and peace. Protect all families with your loving care, especially those for whom we now pray (pause to remember intention). Increase our faith. Strengthen our hope. Keep us safe in your love. Make us always grateful for the gift of life that we share. This we ask through Christ our Lord. Amen.